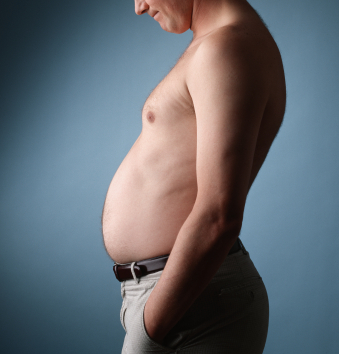 Did you know that fat around your organs (known as visceral fat) is a major source of chronic inflammation in people? Without question, visceral fat is responsible for many of the health issues that plague western societies, from Diabetes, cardiovascular disease and even some cancers. The new and somewhat surprising clinical finding is that visceral fat is one of the leading contributors to increased body inflammation. Luckily, with a healthy diet, routine exercise and new technologies like a DEXA scan, you no longer have to be a prisoner to the hazardous health issues that are attributed to visceral fat. In a research study published in the Journal of Diabetes, it was stated that visceral fat is one of the main factors contributing to chronic systemic inflammation. In this specific study, researchers examined the blood of individuals that were receiving gastric bypass surgery and discovered that visceral fat in the stomach was directly storing large amounts of the inflammatory molecule IL-6 (interleukin-6), which was being transported directly to venous blood. So the inflammatory molecules produced by visceral fat was being dumped into veins and transported throughout the body. Quite simply, visceral fat produced and spread chronic inflammation throughout the body. There are many ways to reduce inflammation; medication, fish oils, exercise and other dietary modifications are shown to be clinically useful. But wouldn’t it be smarter to get rid of visceral fat and remove a major contributor to chronic inflammation in your body? Some signs and symptoms of chronic inflammation. So how do you know how much visceral fat is in your body? The most accurate way is to come to Body Measure in Crow’s Nest, Sydney and get it measured with a Dexa Scan. The Dexa machine at Body Measure is the only Dexa scan in the world that visualizes visceral fat. Yes you will actually see where you visceral fat is located and how much there is! Dexa only takes five minutes, is painless, and we go through your results straight away. If visceral fat is found you can find out exactly how to lose it!